OVER the last few days, the media and representatives of certain governments traditionally committed to anti-Cuba subversion have unleashed a new campaign of accusations, unscrupulously taking advantage of a lamentable event: the death of an ordinary prisoner, which possibly only in the case of Cuba, is converted into news of international repercussion. The method utilized is the same one as always: fruitlessly attempting, through repetition, to demonize Cuba, in this case through the deliberate manipulation of an incident which is absolutely exceptional in this country. This so-called political prisoner was serving a four-year sentence after a fair legal process during which he was at liberty and a trial in accordance with the law, for a brutal physical attack on his wife in public and violent resistance to arrest by police agents. This man died from multi-organ failure due to an acute respiratory infection, despite having received appropriate medical attention, including specialized medication and treatment in the intensive care room of Santiago de Cuba’s principal hospital. Why did Spanish authorities and certain members of the European Union hasten to condemn Cuba without any investigation into the incident? Why do they always utilize pre-fabricated lies in the context of Cuba? Why, in addition to lying, do they censor the truth? Why is the voice and truth about Cuba openly denied the smallest space in the international media? They are acting both cynically and hypocritically. How would they describe the recent manifestations of police brutality in Spain and a large part of "educated and civilized" Europe against the indignados movement? Why is there no concern over the dramatic situation of overcrowding in Spanish jails with a high immigrant population – in excess of 35% of total prisoners in the country – according to the most recent report by the ACAIP prison union, dated April 3, 2010? Who has made any effort to investigate the death in July of 2011 in the Spanish penitentiary of Teruel, of Tohuami Hamdaoui, an ordinary prisoner of Moroccan origin after a hunger strike of several months? Who has reflected the fact that he has insisted he is innocent? Has the Chilean spokesperson slandering us by asserting that the dead man was a political dissident on his 50th day of hunger strike lost his memory and sense of reality? He must remember his days as a student leader linked to Pinochet’s troops, who massacred Chileans and instituted disappearances and torture throughout the Southern Cone via Plan Condor, while there have been no statements about the harsh repression of students peacefully demonstrating in defense of the human right to universal and free education. Is he one of those who supported re-labeling the Pinochet dictatorship a military regime in school textbooks? Has he made any statement about the repressive and arbitrary Anti-Terrorist Law implemented against Mapuche prisoners on hunger strike? The United States government, the principal instigator of any effort to discredit Cuba in order to justify its policy of hostility, subversion and the economic, political and media blockade of Cuba, could not be missing from this campaign. The hypocrisy of spokespersons for the United States, a country with a poor human rights record at home and abroad, is staggering. The UN Human Rights Council has acknowledged frequent serious violations in this country of women’s rights, in the treatment of persons, racial and ethnic discrimination, inhuman conditions in prisons, neglect of inmates, a differentiated racial standard and frequent judicial errors in imposing capital punishment, and the execution of minors and the mentally ill. This is compounded by abuses of the migratory detention system, deaths along the militarized southern border, atrocious acts against human dignity and the killing of innocent civilians by U.S. army troops in Iraq, Afghanistan, Pakistan and other countries, not to mention arbitrary detentions and acts of torture perpetrated in the illegally occupied Guantánamo Naval Base. It is barely known that three people died in the United States last November 2011 during a mass hunger strike of prisoners in California. According to testimonies from prisoners in adjoining cells, prison guards offered no assistance whatsoever and ignored their cries for help, as opposed to the abusive practice of force feeding hunger strikers. A few weeks previously, African American Troy Davis was executed despite a large body of evidence demonstrating legal errors in his case. The White House and the Department of State did nothing about this case. A total of 90 prisoners have been executed since January 2010 to date in the United States, while a further 3,220 remain on death row. The government frequently brutally represses those who dare to expose injustices within the system. This new attack on Cuba is clearly politically motivated and has nothing to do with legitimate concerns for the lives of Cuban men and women. It is fuelled by the complicity of the financial-media corporations such as the Prisa Group and the corporation running CNN en Español, in the finest style of the Miami Mafia. It is irrationally accusing the Cuban government without having made any investigation into the facts. Condemnation and judgment are made a priori. It is apparent from the immediate and crude response of authorities and the apparatus in the service of media aggression against Cuba that they did not even take the trouble to confirm the information. The truth is unimportant if the intention is to fabricate and sell a false image of alleged flagrant and systematic violations of civil liberties in Cuba which could one day justify an intervention in order to "protect defenseless Cuban civilians." The attempt to impose a distorted image of Cuba meant to indicate a notable deterioration in human rights, to construct an allegedly victimized opposition dying in prison, where health services are denied, is evident. 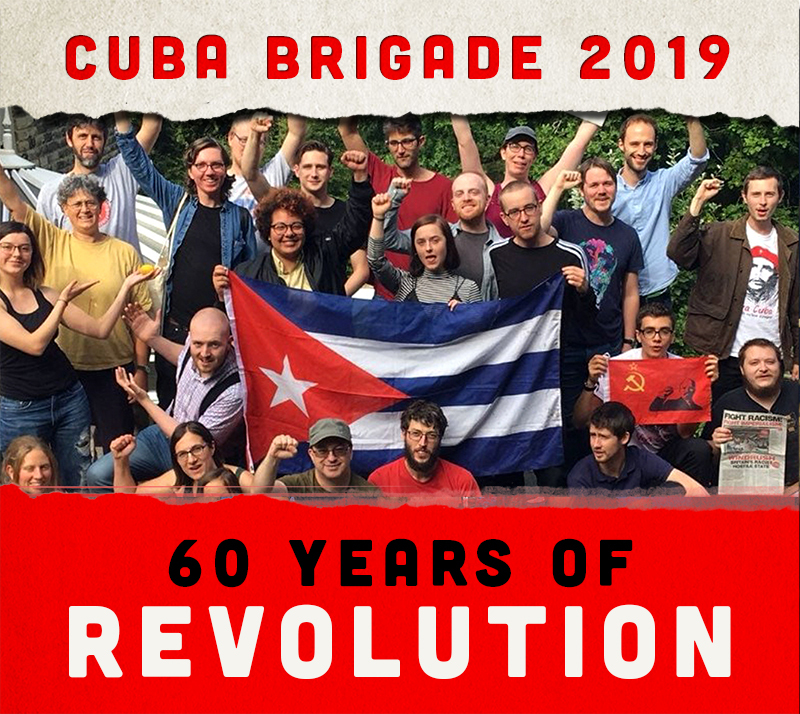 The humanist vocation of Cuban doctors and health personnel, who spare no effort or the country’s scant resources – to a large extent the result of the criminal 50-year blockade imposed on the Cuban people – to save lives and improve the health standards of their own people and in many other nations is well known. Cuba is respected and admired by many peoples and governments who recognize its social undertakings at home and abroad. Deeds speak louder than words. Anti-Cuban campaigns will not inflict any damage on the Cuban Revolution or the people, who will continue improving their socialism. The truth of Cuba is that of a country in which human beings are most valued: a life expectancy rate at birth of 77.9 years; free health coverage for the entire population; an infant mortality rate of 4.9 per 1,000 live births, a figure exceeding that of the United States and the lowest on the continent along with Canada; a literate population with full and free access to all levels of education; 96% participation in the 2008 general elections; and a democratic process of discussion of the new economic and social guidelines prior to the 6th Congress of the Communist Party. The truth of Cuba is that of a country which has taken its universities and schools to penitentiaries holding inmates who had fair and impartial trials, who receive the same wages for work undertaken, and enjoy high levels of medical attention without any distinction in terms of ethnicity, gender, creed or social origin. It will be demonstrated yet again that lies, however much they are repeated, do not necessarily become truths, because, as José Martí stated, "A just principle, from the depths of a cave, can do more than an army."